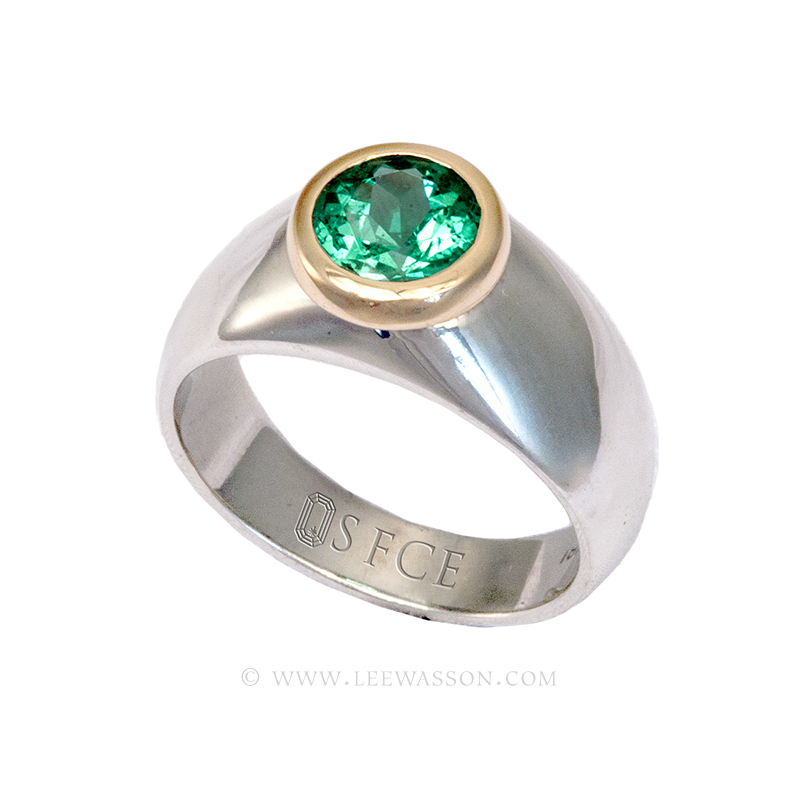 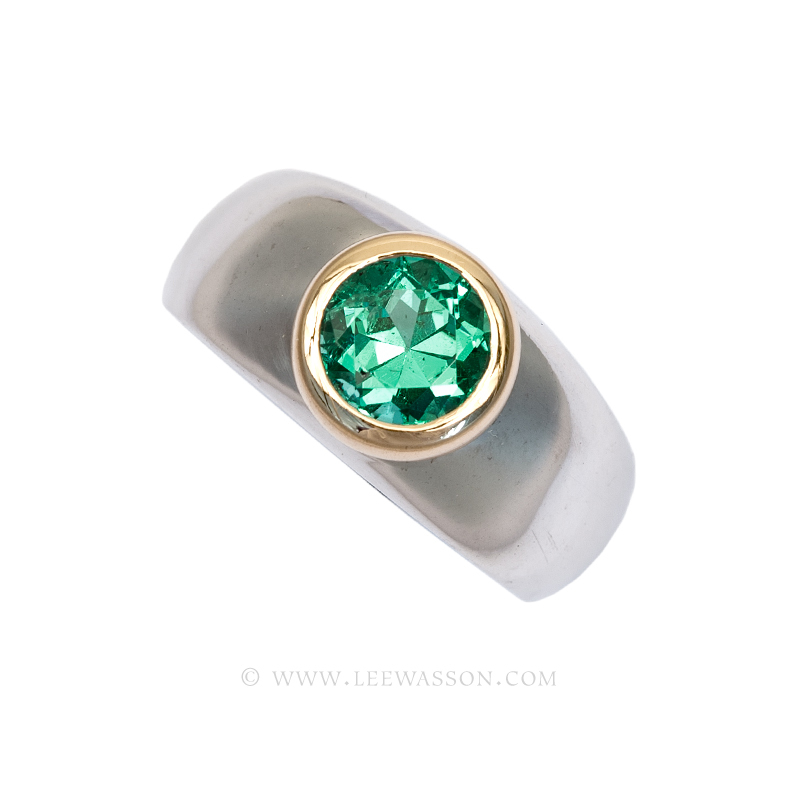 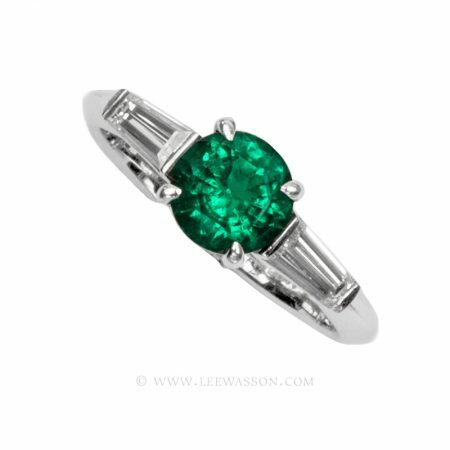 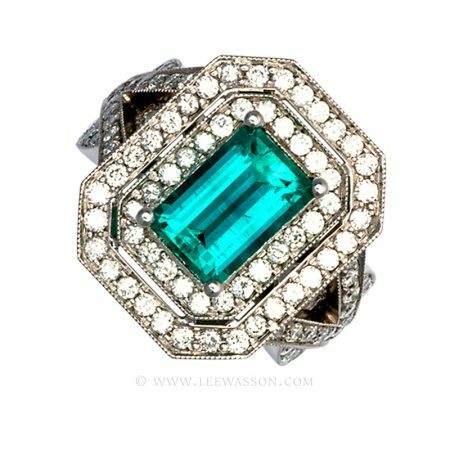 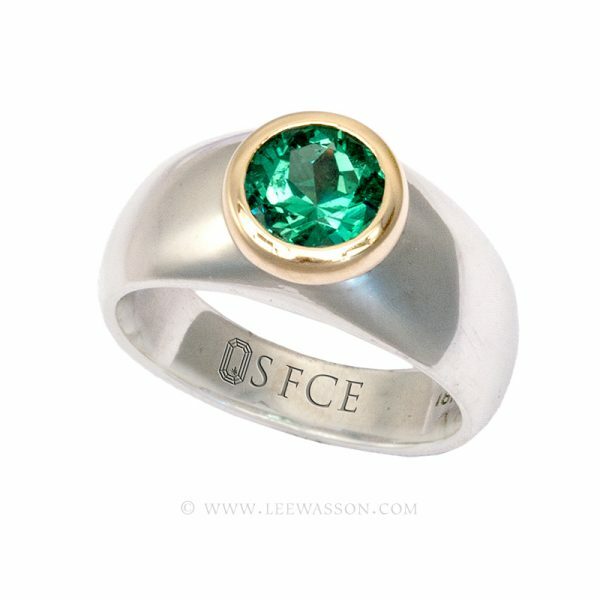 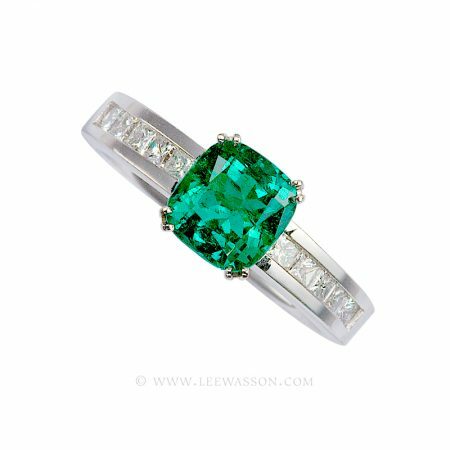 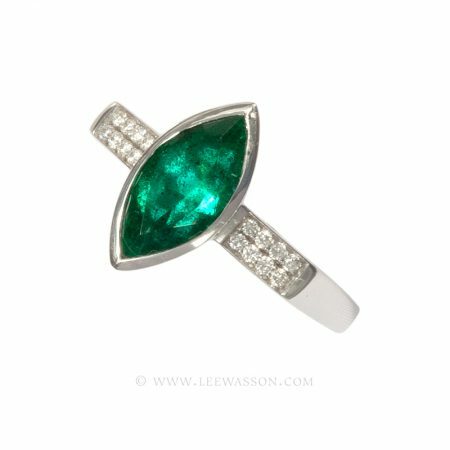 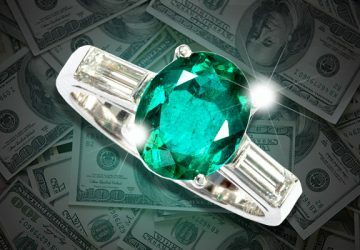 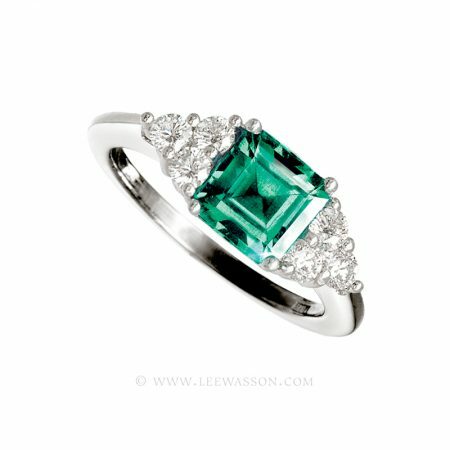 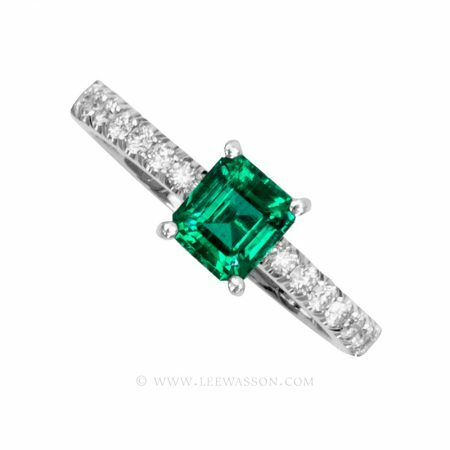 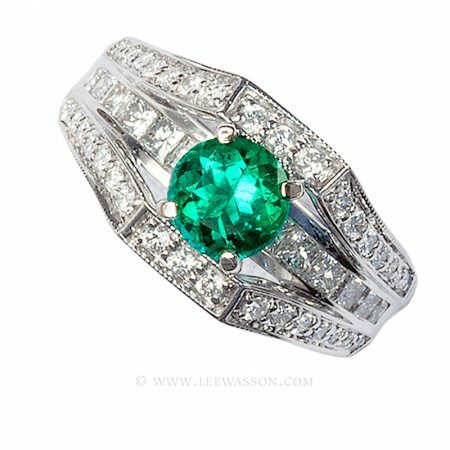 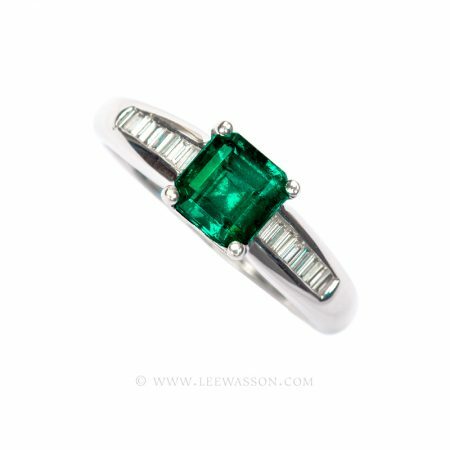 This is a very special 1.08 carat Round Brilliant cut Colombian Emerald ring created in 18k White and Yellow gold in house. 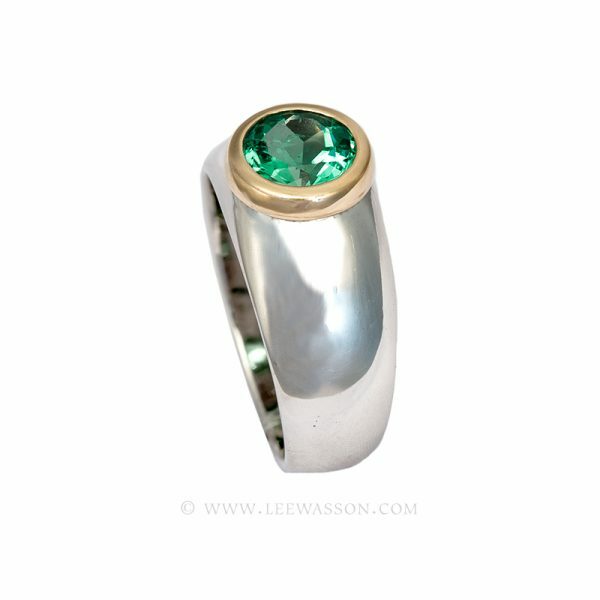 It can work as a right hand ring or a sleek contemporary engagement ring that will never be out of style. 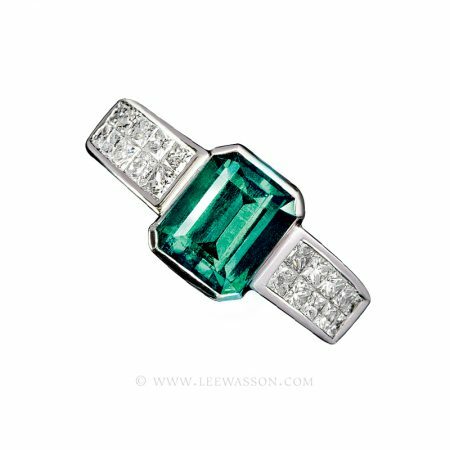 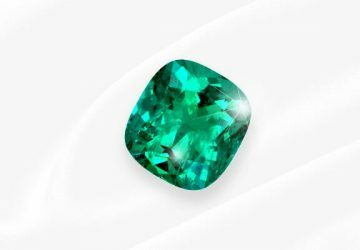 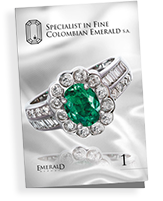 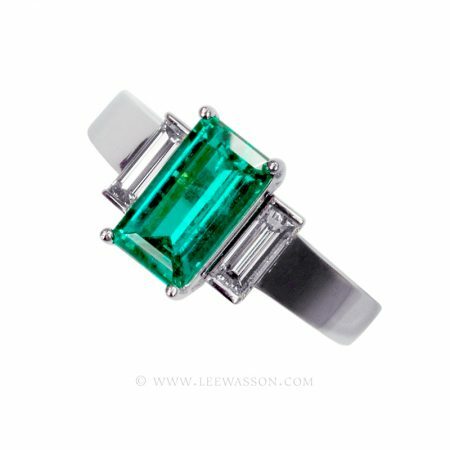 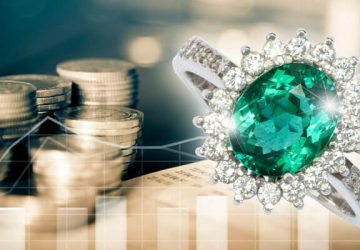 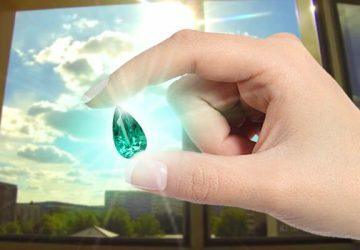 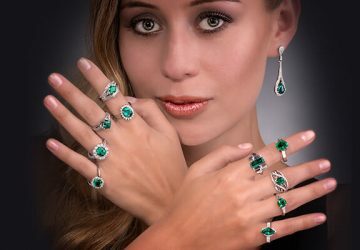 Colombian Emeralds are formed in nature as Hexagonal crystals apt to be cut into an Emerald cut with long rectangular facets, certain conditions have to be met to warrant cutting off all the corners of the valuable rough gem material and fashion a Round Brilliant cut.